Enjoy your favorite drink and snack on the go with your favorite Minions! Now you can enjoy your favorite drink and snack, on the go, and with the company of your favorite Minions! 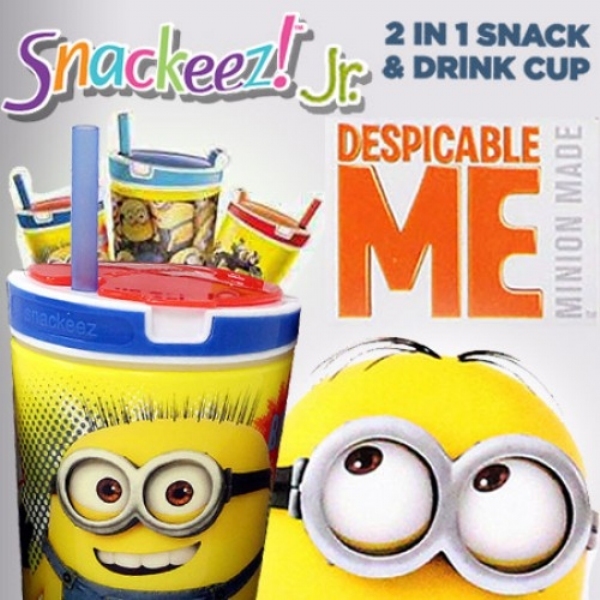 The Minion Snackeez Jr. as seen on TV feature Minions from Despicable Me. The top storage container holds your snacks keeping them dry with a flip top lid for easy access. The straw lets you enjoy your favorite drink, stored under the snack compartment, so you&apos;re never plagued by hunger pangs.